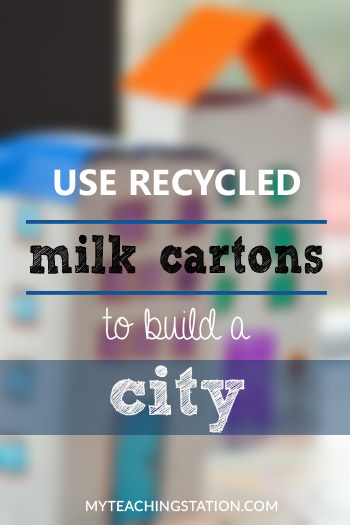 Create a city using milk cartoons and a cardboard. Your child will enjoy building the city and then moving cars and figurines around the structure while creating a storyline of adventure. 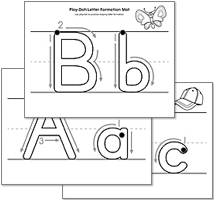 Demonstrate to your child how to use their thumb, index finger and middle fingers to tear out different pieces of paper to build a collage. 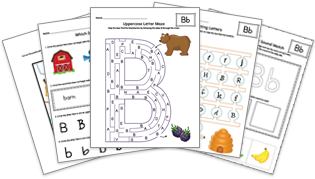 Use paper with images of shapes, numbers, and letters. 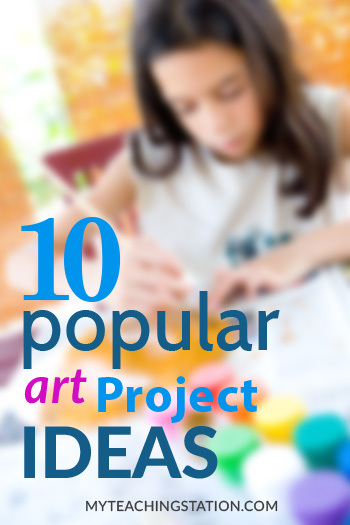 Start with a controlled art environment, as this can be messy, yet memorable art project. Simply apply a thick layer of paint on the hand with a brush and press down firmly onto your canvas. What child is not fascinated with rockets? 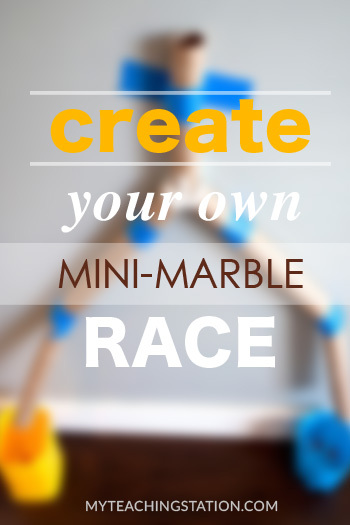 Build this easy and simple rocket ship with a recycled toilet paper roll. 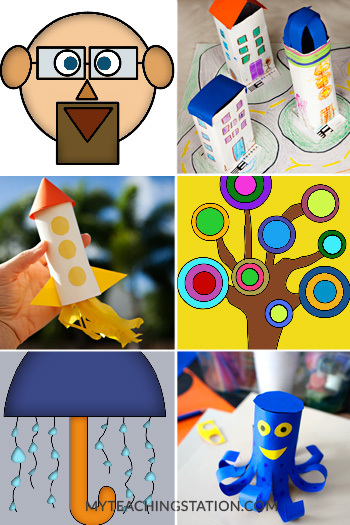 Create a tree by tracing, cutting and gluing paper in the form of a tree. You can then write a number on each leaf for a counting game. Cut out seven different lines 1/3 of the way up the toilet paper roll then curve the lines out to create octopus tentacles. Then paint and add life like features to characterize. Make sure to create a name! This makes for a great rainy day idea! Make an umbrella with a paper plate, ribbon and colored paper. Make a simple caterpillar with a recycle egg carton, paint, and colored paper. Simple and fun binoculars with recycled toilet paper rolls. Your child will love looking through these. Make a set for yourself too and then act out a wildlife safari. 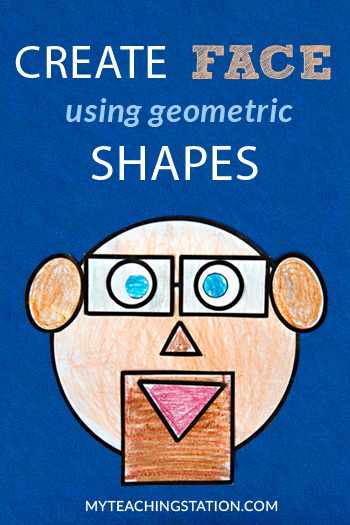 Teach shapes, scissor skills and body parts with this fun and simple art project by cutting out different shapes to make a face.